No matter how big – or small – your business is, you need to hone your discovery skills to find prospects, compete on projects, make the sale, take a superb client brief and produce results that rock. You’ll use these skills at every single point of contact with clients, prospects and suppliers. They’ll come in handy whether you are attending a conference, visiting a trade fair, cold calling or simply having conversations with your own personal network. Need information? Be curious, ask better questions. Leaders ask good questions. Yet many people find it tough to ask them, let alone good ones, but let’s try to make it easier. Asking “Why?” puts others on the defensive. They feel obliged to justify themselves. Justification yammer gets you nowhere (no useful info) and causes discomfort (you’ve lost the prospect before getting them to bite). 2-year olds ask a lot of questions, but you shouldn’t imitate them. They only ask why questions: Why can’t I go outside? Why is the sky blue? Why do you paint your nails? Why can’t I watch TV now? Long ago, I baby-sat a toddler named Elliott. His record was asking me 64 why questions in a row (yes, I counted, and I remember). They are not called the terrible twos for nothing. These are better questions, but don’t waste your few minutes trying to connect with a new person using them. Chances are anything useful your contact wants to communicate in those areas, he/she will do on their own (apologies to those allergic to the singular plural). Save your saliva. “How” and “what” are neutral and resourceful questions. Make friends with and practice asking in a how and what format to unlock and access those valuable insights. 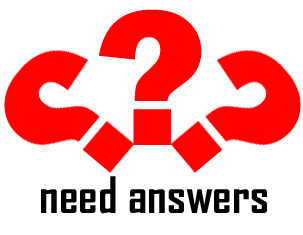 They are open questions that show real interest and that put people at ease. Not only are you starting to connect with the other, you are also structuring a conversation in which the other will probably reveal more than simple facts that don’t tell the whole story. And if you are actively listening, both to what is said (facts) and to how it is said (motivations, values, beliefs), you’ll be able to mold your follow-up how and what questions, getting more precious info and starting to build a relationship that both parties enjoy. Why did you become a translator (dentist, accountant, architect – whatever)? V What attracted you about XYZ profession? Why did you stop working with Communications4Us? V How did Communications4Us fail to meet your needs? Why are you entering the world of digital publishing now? V What particular challenges have you overcome to launch this new aspect of your business? Why did you learn XYZ (strange skill)? V How did you learn XYZ (strange skill)? Why are you attending this conference (trade fair, workshop..)? V What is it about this conference (trade fair, workshop..) that interests you most? Why are you late for dinner? > How is it you are getting home so late? Why did you fail your math test? > What do you need to do better on the next test? Why does it matter to you if I finally spend an evening out with friends? > How does my spending an evening out with friends affect you? Come back and tell us in the comments how using this technique made a difference. Hi Patricia! I promised that I would try this technique last weekend… and I did, so here is my feedback. It was actually a bit different because it was in French, so I had to adapt my questions (“est-ce que..”, “quel est…”, “comment”). The other tricky thing was that I visited a consumer event and not a professional one. However, I managed to start at least 2 interesting conversations by asking information in this manner to the person on the booth and both led to positive contacts. On one booth, the person I wanted to meet was not there but another person took my card and promised to email me her contact details soon. On the other booth, I asked questions mainly for my personal interest, but managed to say that I was a translator :-). Eventually, the manager asked me if I could provide liaison interpreting services for small foreign delegations coming to France, and I said yes, of course! Thanks Patricia for your post, I think it just gave me the extra motivation I needed to feel confident to approach people in a meaningful way! Leave a Reply to Patricia Lane (@..